The book Motivating the inner soul is a motivational, personal development and self-help compendium targeted at social entrepreneurs, corporate sector, company members of staff, thought leaders, religious leaders and the creative industries. The launch will take the form of a networking platform for business people. A host of industry leaders shall be invited to the event including two key note speakers in the business sector . 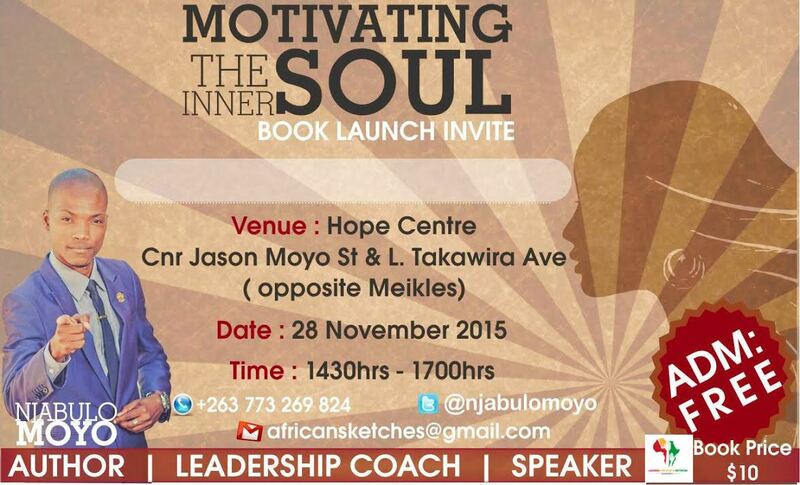 The author, Njabulo Moyo has a deep understanding of human potential based on years of training and mentorship experience in Leadership and business innovation combined with a rare talent for communicating important issues very simply. The approach he describes in this book Motivating the Inner Soul is so easy to grasp-you’ll see things differently and be able to lead your life, teams and community in a refreshing new direction. He challenges everyone in an organization from CEO to front line team to be quick and build new internal bricks to build a secure future.